[Dr. Marburger’s] talk was followed by an on-stage interview that I conducted with him. We had our largest audience of the series that night with over 500 people in attendance. I distinctly remember the audience mood turning from being somewhat overtly hostile to Dr. Marburger to confusion and even appreciation, as he explained that he was a Democrat, saw evolution as beyond debate and expressed support for action on climate change. He was also a generous and decent person. He will be missed. See also Pielke, Jr., R. A. 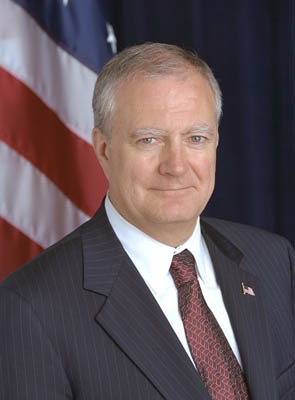 (2011), John Marburger (1941–2011) Physicist and longest-serving US presidential science adviser. Nature 476 (284), doi: 10.1038/476284a. We recently lost a member of our community with the passing of Dr. Marburger. I had the fortunate opportunity to meet with Dr. Marburger several times and he left a lasting impression on me during a 2009 workshop on Reconciling the Supply of and Demand for Research in the Science of Science and Innovation Policy. Dr. Marburger showed great intellectual humility which I admired, with a gracious open-mindedness and a spirited curiosity for everyone’s thoughts. Such intellectual modesty is the sign of a true scholar, which Dr. Marburger proved to be. Even though we have lost a valued member of the science policy community, the research community, and so many other groups, Dr. Marburger’s qualities live on by setting a precedent for us all. 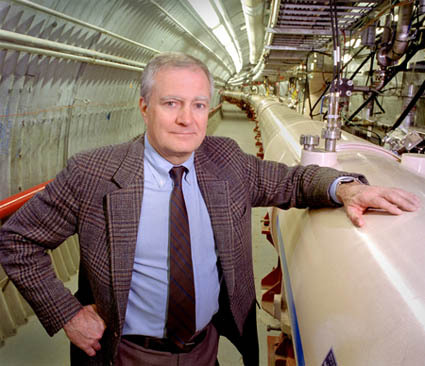 Dr. John Marburger in the tunnel of Brookhaven’s Relativistic Heavy Ion Collider in 2000. It’s difficult to think of Jack Marburger in the past-tense. I first met him as a graduate student at CU when he came to speak about his role as the President’s Science Advisor. Later I was able to interact with Jack on issues close to his heart: the science of science and innovation policy. Throughout my engagement with him Jack seemed incredibly patient and interested in what I was saying, even when I was sure there were other people in the room with more interesting things to say. But that’s what made him so special to many of us who came to know him when we were graduate students and early-career professionals: his un-hurried presence and willingness to talk with and listen to our ideas, not to mention patience answering questions he’d probably fielded hundreds of times before. He may have been the Presidential Science Advisor when we first met him, but today he is simply Jack. Friend, mentor, coach, incredible scientist, role model...words can hardly describe how he’s informed our lives and careers. Jack’s passion for science, policy and science policy will live in unique ways in each of us whose lives and careers he has touched. We are, indeed, fortunate. I met Jack Marburger a few times, once when he was part of our series on Presidential Science Advisors and once in Washington, D.C. for our SPARC project’s “Usable Science” symposium with CSPO and Dan Sarewitz. I got to know him further through his insightful and well-written science policy articles on topics from how we decide on the direction of science policy to the use of intelligence in making decisions about weapons of mass destruction in Iraq. He played an instrumental role in initiating the now burgeoning field of “the science of science policy” and his thoughtfulness in this arena will be greatly missed.